In our newsletter (published monthly) you will be informed about the latest developments in Management Innovation. You will receive exclusive and free access to case studies, practical tools, checklists and news. 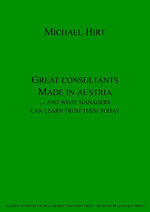 The management consulting profession has been fundamentally shaped by a number of thinkers, which originated from the region formerly known as Austria-Hungary. By analyzing the work and contribution of these thinkers, it is possible to gain a fundamental and rounded understanding of key theoretical consulting approaches and their practical application to management. The book covers the following 9 thinkers and their impact on modern management: Ludwig von Mises, Friedrich Hayek, Joseph Schumpeter, Peter Drucker, Paul Watzlawick, Sigmund Freud, Alfred Adler, Viktor Frankl, Karl Popper. 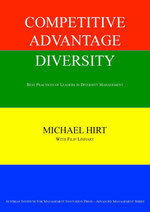 A study of best practices of leaders in diversity management with comprehensive recommendations for companies willing to leverage the full potential of diversity management in their organizations. 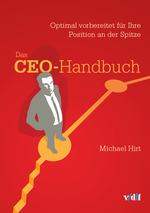 In his „CEO Handbook“, Michael Hirt has summarized the methods of classic management. 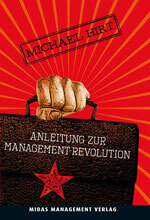 In his provocative new book „Instructions for the Management Revolution“ (published in 2013), he describes the principles of the Management Revolution and their application in management practice. This book replaces a whole library: It is a state-of-the-art summary of 36 important top-management topics and the resulting key action points for managers. Subjects covered range from hard to soft-skills for senior managers and CEOs. E.g. : from mergers & acquisitions to emotional selling. 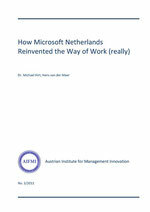 This case study shows how Microsoft Netherlands (MS Netherlands) successfully implemented a radical and wide-ranging change to its management approach. Basically, they completely reinvented the way they work both physically and practically,leading to substantial/dramatic increases in productivity and employee satisfaction. 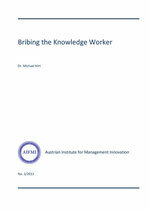 Paper: Bribing the Knowledge Worker? Knowledge workers cannot be motivated by bribing them, but have to be turned from employees to real partners. Read about the logic behind that and a real world success story.